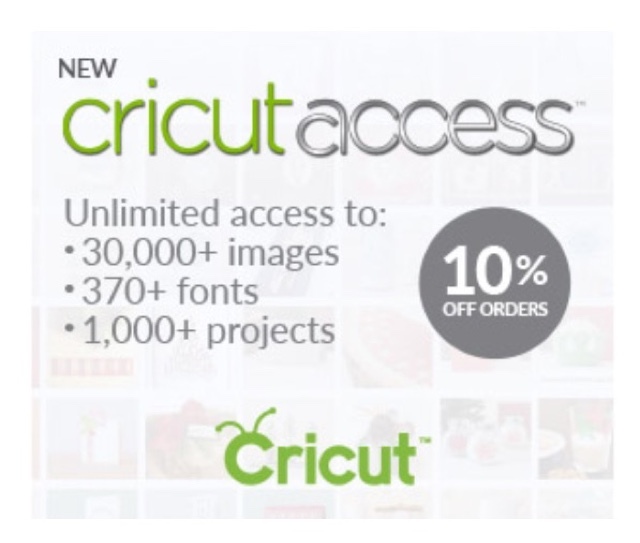 ✩ Cricut Access™ is a brand new subscription from Cricut with designs for all of your crafting projects. Monthly and yearly options are available. I've seen unique stickers and creative cards made using a Cricut. Do you have one? Do you want one? ✩ Signing up now will allow you get unlimited access to over 30,000 images, over 1,000 Make It Now™ projects, and 370 fonts! Sign up for Cricut Access™ and get unlimited access to images, fonts and projects.